Fabulous value for this adorable & affordable spotless 2 bedroom/1.5 bath in popular APPLE GREENE. 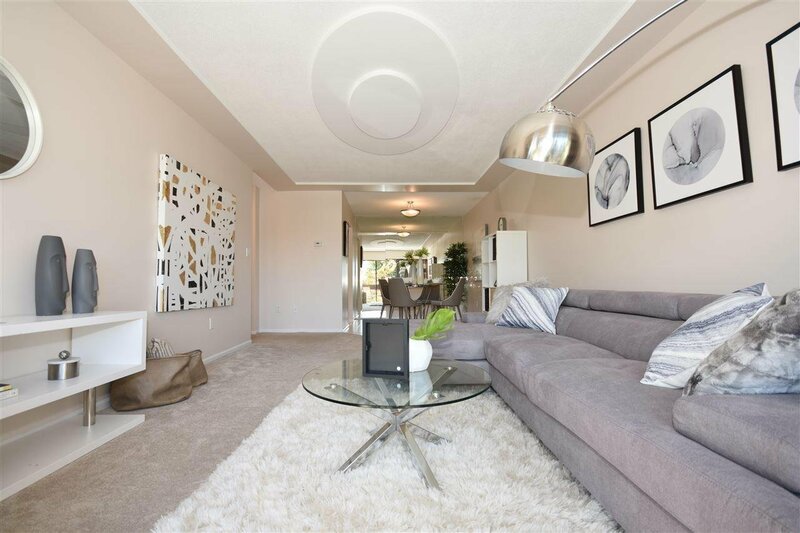 This home is in pristine condition and boasts updated kitchen and baths, designer décor and an open balcony overlooking a lovely neighborhood. Expansive and peaceful eastern exposure. Features maple kitchen, quartz counters & terrific closet organizer system in Master Suite walk-in closet. Envelope is being renewed at Seller's expense and will afford years of comfort in a "rain screened" complex. choice location where to you can walk to Seafair Shopping Centre, West Richmond Recreation Centre and golf at the Pitch & Putt. They do not build them like this anymore with expansive greenspace and "resort-style" amenities in The Core- indoor and out!